I wandered down to the nearby headland recently (Bellerive), mainly to try out my new toy (digital camera). As I have many times before, I used the local gulls as my subject matter and while editing the resulting images, I was struck by the beauty of the plumages. I probably shouldn't have been surprised as the breeding season for them is imminent and if they're going to impress their potential partners, it's now or never! Gone are the tatty feathers, missing primaries and dull coloured soft parts, and most appear to have paired off already, although there are always hopeful 'singles' to see off. 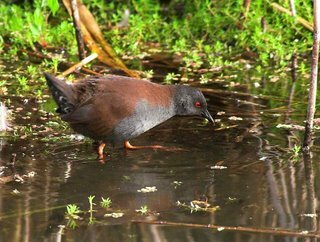 It also gives me the opportunity to add another species to my 'image bank' of Tasmanian birds (accessed via the Tasmanian Species List link on the right). The images at right show an adult Kelp Gull in typical pose and another giving a 'greeting' call to its' arriving mate. While mentioning the Tasmanian Species List, I received an e-mail recently querying 'my' list--I had wondered whether someone might take me to task over it! The truth is that 'my' list is really only a vehicle for accessing the photos from this blog. It isn't by any means a definitive list, and I deliberately relegated the pelagic species to the also rans at the bottom, as I may never get round to photographing them. But it did raise the point about a legitimate list for Tasmanian birders (and visitors). 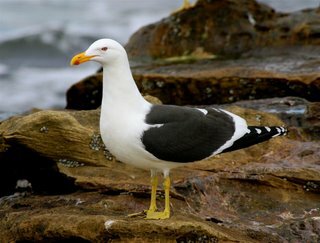 I think it might be something that Birds Tasmania could take on board (they may be in the process of doing so), as they are effectively the record keepers. I would like to see a list on the www. that could be printed out (probably a pdf.) with brief status and a few columns for ticking off species, probably 'back to back' A5 size, to fit in the Field Guides. 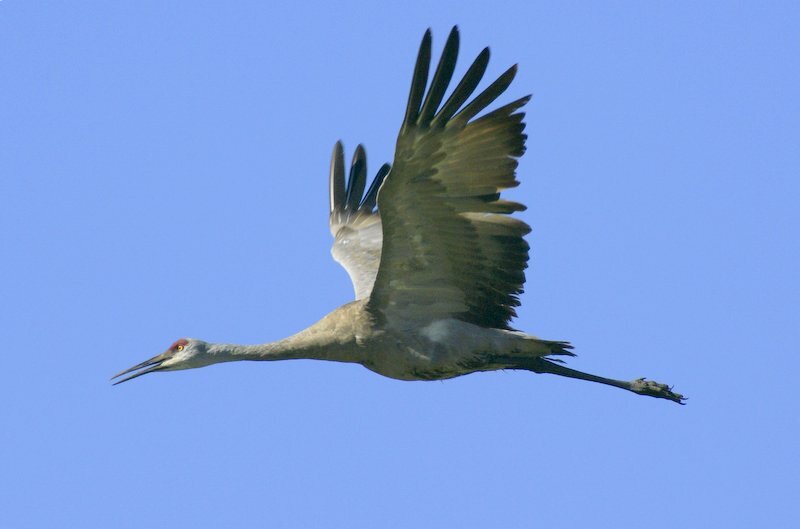 The Chicago Ornithological Society has an excellent example of what I envisage at www.chicagobirder.org (click the link under 'Featured Links' for checklist). Food for thought? Made a flying visit to Pipeclay Lagoon this morning, I'm just about over jet lag, well nearly! Well worth the effort as there was plenty of Springtime activity about. 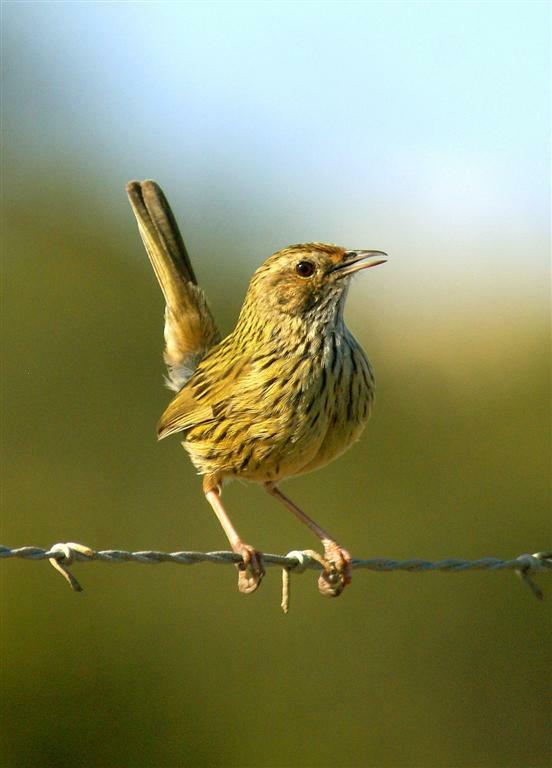 Highlight for me was the Striated Fieldwren pictured here. I had just about given up on ever seeing this species here again, as there's about an eight year gap since I last recorded them. About 20 years or so ago, I recall regularly seeing them here in some numbers , usually firs t thing of a morning and mainly in the Spring (often, as this bird, while calling from a vantage point). Development in the area, together with feral cats and increased human activity, is almost certainly the cause of the decline in numbers. Although it must be said that it's a difficult bird to find at the best of times, often prefering to run along the ground between 'sags', rather than flying. 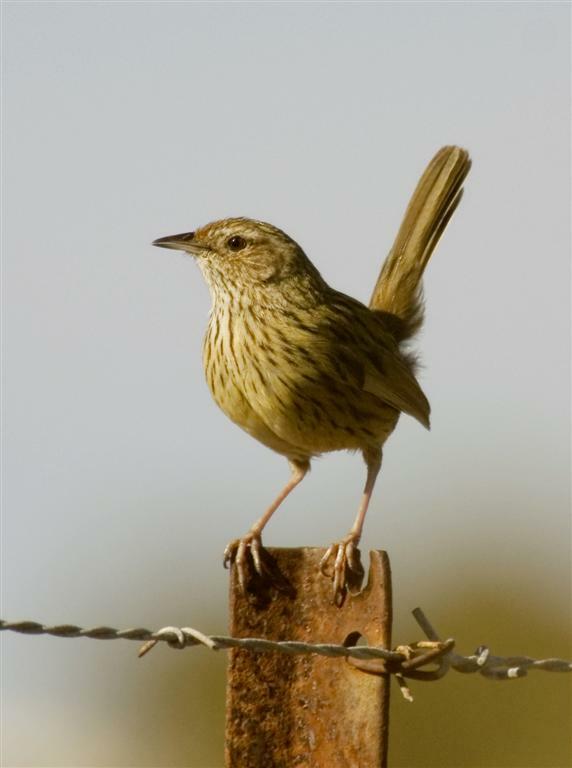 This individual was the only Fieldwren I saw, but it shared its' wire perch with Chats, Striated Pardalotes and Yellow-rumped Thornbills, and called incessantly. After a somewhat gruelling 30+ hour journey back from Chicago, I finally made it to Tassie yesterday afternoon. I could tell I was back. It wasn't the bracing wind as I crossed the tarmac, or the car regos. No, it was the sight of dogs running loose in a "leash only" area, as we descended into Hobart. I was definitely back home. Hopefully, when my body has recovered, I'll be posting more local content. I can't really wait to try out my new purchase--A Sony A100 digital SLR camera, although I doubt whether you'll notice any difference! To those whom I haven't adequately replied to in the last few weeks, my apologies. It's not quite so easy when your using webmail and someone else's computer. Anyway, bottom line, I'm back and looking forward to your contribution. 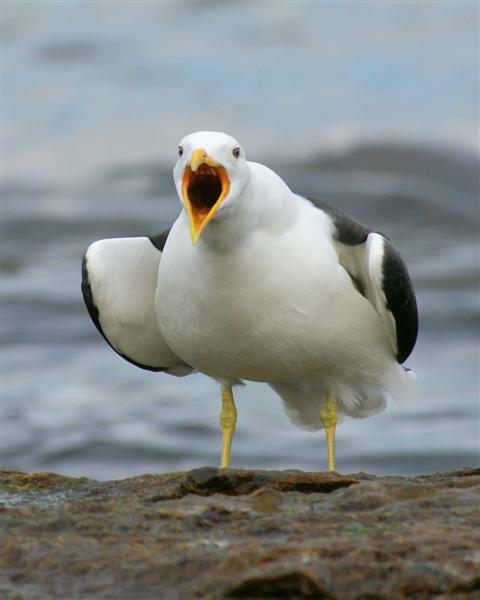 It's an exciting time of year in the local bird scene. Sanderling are probably winging their way to Tasmanian shores as I write. Favouring sandy beaches, they are usually to be found on the North East and West coasts of Tasmania, although they also find their way to the South East in small numbers. Over the years, I have seen flocks of up to a hundred or so birds on beaches from Eddystone Point south to Scamander and on Strahan Beach south of the Henty River. 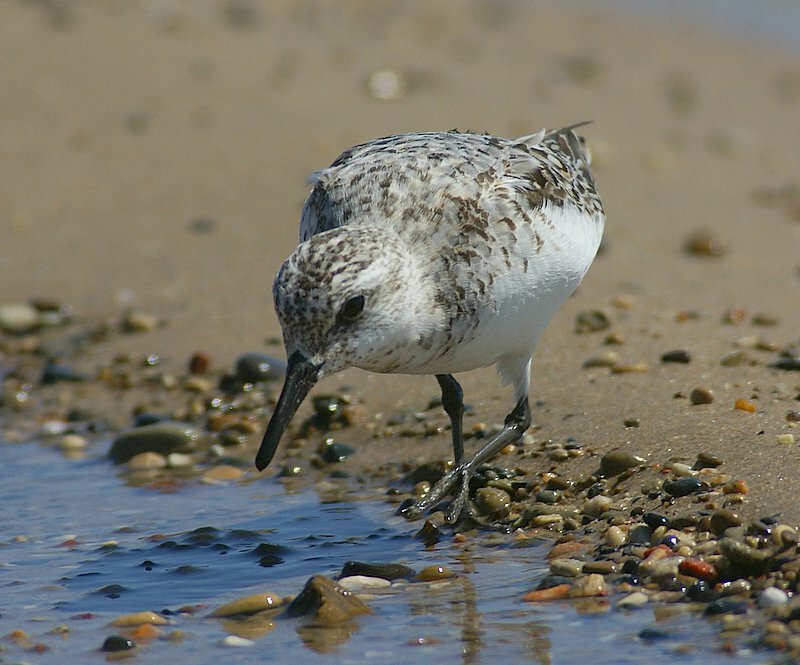 From a distance they could be confused with the somewhat smaller Red-necked Stint, but their habit of feedi ng by "chasing the waves" back and forth to feed is a give away. 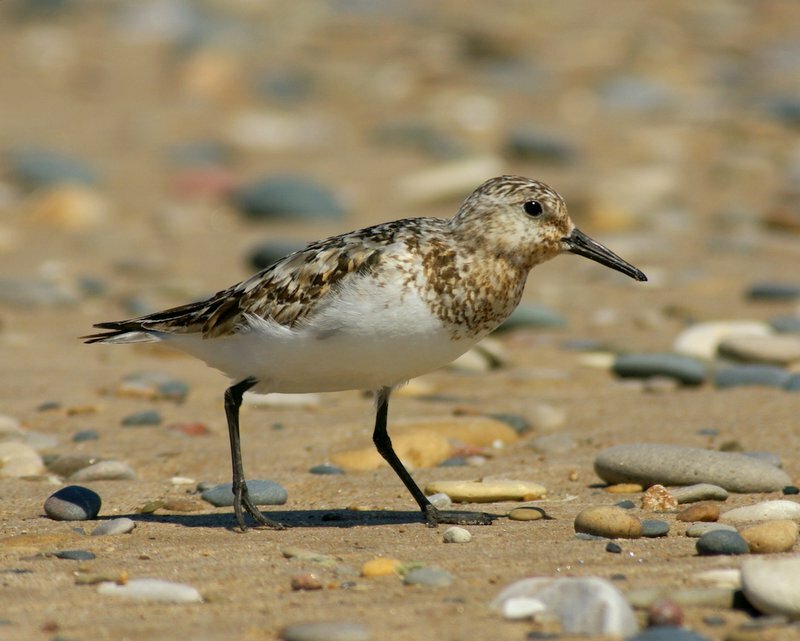 The images shown here are of birds photographed yesterday at Illinois Beach State Park in the USA, on the shores of Lake Michigan, and show birds still substantially in breeding plumage, a plumage that is infrequently seen in Tasmania. 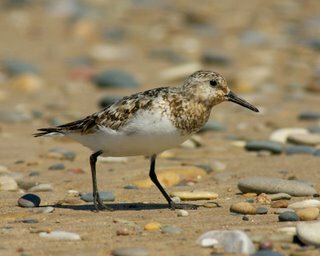 These birds, and a few Semipalmated Sandpiper, approached to within a few metres of us, as my son and I, sat on the beach photographing them. If only all waders were that co-operative! "All Birds Great & Small"
I attended the "Hawk Watch" seminar at the weekend at a Preserve in North East Illinois, that hails by the name of Volo Bog. I arrived with my son, Matthew, an hour or so before the event, to do some birding. The very first and last birds that I managed to photograph there, during the walk, were, by coincidence, the largest and smallest birds that visit this 1100 acre area. 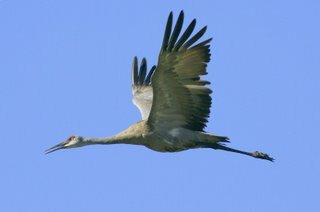 Hardly out of the car, a pair of Sandhill Cranes flew over us, from a nearby marsh, one of which is pictured below. In the Autumn some hundreds will migrate through here on their way South, and I have been fortunate enough to be here at that time in previous years, to witness this event. 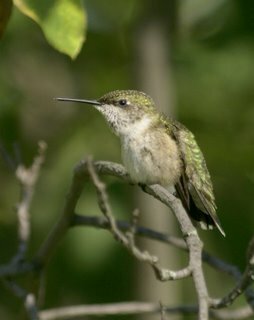 Having missed out on seeing the only Hummingbird regularly recorded here (in Illinois), the Ruby-throated, on previous visits to the USA, I'm glad to say I've now rectified that. In fact during the mornings walk, I saw at least 10, but I'm now beginning to realise how I might have missed them. I knew they were small, but not just how small! There are numerous insects and butterflies about at the moment--I have photographed many, they're hard to resist--and I noted a rather beautiful green 'insect' nearby, but I was struck by its' rather upright stance, and then the penny dropped! A Hummingbird! With its' rapid wingbeat and hover, it could so easily be misidentified as an insect. On the walk back, we saw several more, including one that passed me close enough to feel the draught and hear the hum of its' wings. But photographing them proved difficult until I finally managed to photograph this female, perched momentarily on a bush close to the seminar venue. Not a bad start to the day, followed by a very professionally run talk on Hawk IDing, by some of the best hawk enthusiasts in the US. 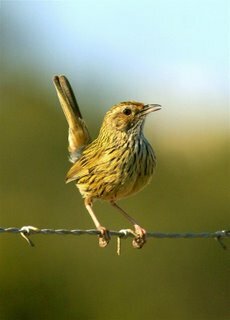 Phil Robinson of South Hobart e-mailed the following to the 'Birds in Tasmania' blog: My wife, Jenny and I were excited to see "new" (for us) birds at Cape Bruny yesterday (Sunday), which turned out to be a pair of Tawny-crowned Honeyeaters. However, I gather this is a good place for them. Interestingly, looking at all our bird books with photos and paintings, there doesn't seem to be a good picture showing the tawny crown. The books show it dull. So...., a challenge for bird photographers. We have just starting to look at the blog and are very impressed by the quality of the photographs. My sister in the UK, (Carol Inskipp) is too. She and her husband, keen English birders, have visited and written a number of books on the birds of Butan, Nepal and the Indian sub continent. We also saw a family (mother, father and baby) of White-fronted Chats, Flame Robin ( male and female) and a pair of Yellow-rumped Thornbills, along with sparrows and Blue Wrens, all from the inside of the car at the car park in front of the old lighthouse keepers' houses. Another interesting bird we haven't often seen is the colourful Spotted Quail-thrush. It is common to see them around WinterWater Wall (yes, I climb), near Bluestone Bay. Again I haven't seen a good photo, although I haven't checked all the months on the site. Continuing on my theme of publishing images of Tasmanian endemics while I'm still overseas, today's offering is the Black Currawong. 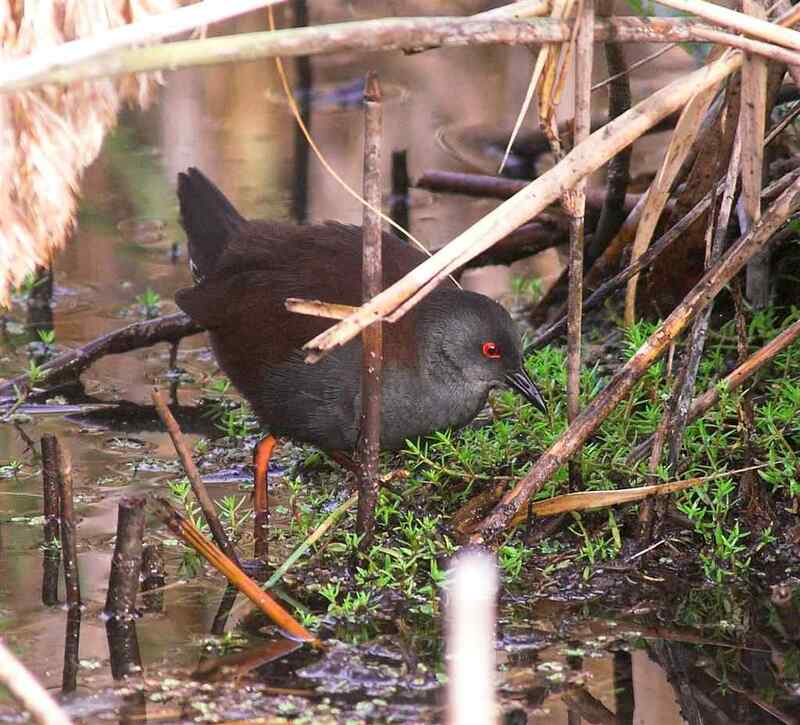 It's probably the most photographed of Tasmania's endemic birds because of its boldness. 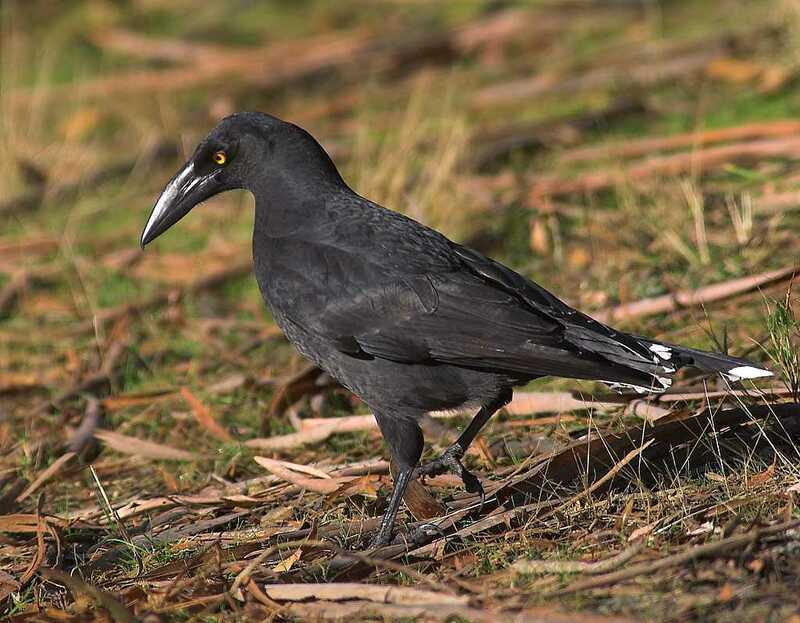 If you're having a picnic at some of the highland parks, you're probably going to be joined by these birds, and having your lunch snatched by a currawong may be funny at first, but can quickly become a nuisance as they become ever bolder. 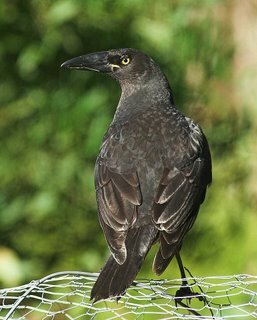 The Black Currawong is an altitudinal 'migrant', inhabiting the highland areas during the warmer months, and lower areas during the Winter. At times they form flocks of upto a hundred or so. 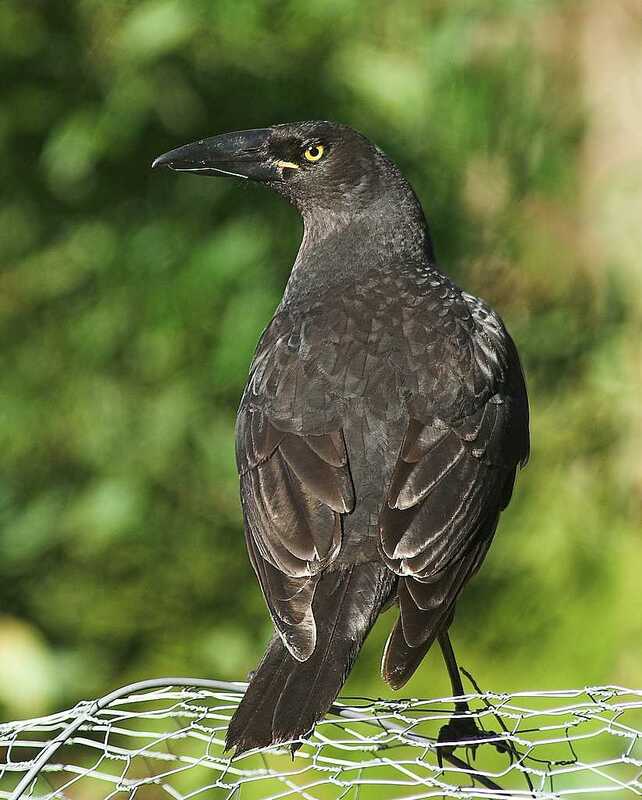 The similar,Grey, or Clinking Currawong, is rarely seen with this species, prefering drier areas. The lower image, shows a juvenile bird, with a browner appearance, and a yellow gape. This weekend I'm attending a seminar on hawk ID, organised by the Illinois Ornithological Society. Hawk watching here is a big event, as many migrant hawks pass this area (Western shores of Lake Michigan), on their journey South. And I'm talking about many thousands of birds, of around a dozen species, that are the subject of an annual count by birders here. I've also managed to score a few personal firsts ('lifers', in the jargon of birders), including Stilt and Upland Sandpipers (several of each, actually), both rare vagrants to Australia. One of the "Jewels in the Crown", so to speak, at Gould's Lagoon, are the crakes. 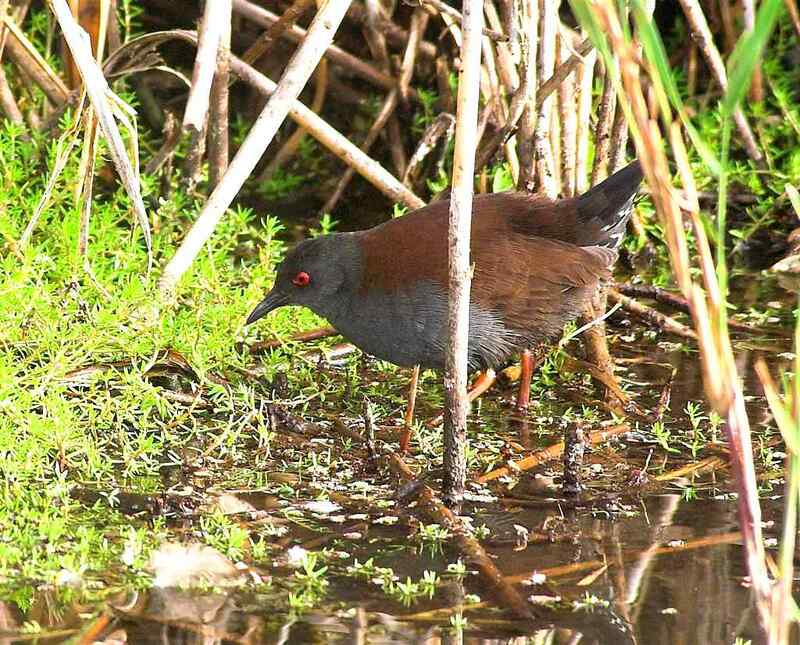 Earlier this year, John Tongue posted an article "Spotless Crake Spotted", and I was anxious to get some photographs of these rather elusive birds. After a couple of vigils, I was rewarded with brief sightings and managed the accompanying images, and as I'm still in the US, I've taken the opportunity to publish them. They were taken while the levels of the lagoon were low, which allowed the birds to forage ou tside of the dense reed beds. After a fairly long wait, this bird 'crept' out, constantly flicking it's tail, spent a short while feeding, before disappearing back into the reed bed. I was struck by how small it was and to the naked eye they appeared to have little colour. It was fortunate that the birds could be seen and photographed from the public hide. 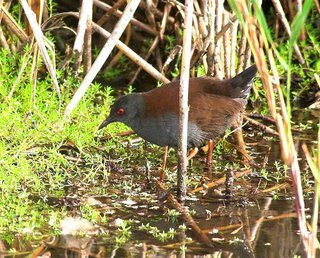 Over the years, I have seen both Spotless and Spotted Crakes here, as well as Lewin's Rails, most frequently during the Winter months. Felix Wilson writes: There's life in the Derwent yet! After an encouraging turnout at the "Save Ralph's Bay" meeting in the Town Hall, I wandered around the wharves area for a while, checking out the wildlife. It's not going to be nominated for World Heritage listing, but it's surprising what is around in this area so close to the centre of a capital city. I saw two seals out in the river for a bit, one of them regularly attends the back of the Mako Fish punt, so that wasn't a great surprise. There were plenty of Black-faced and Little Pied Cormorants about, drying out and preening on the various poles and yachts. 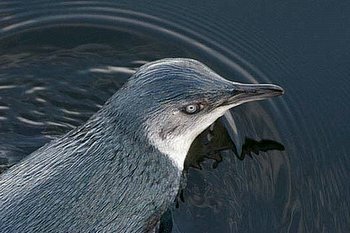 Then while I watched some gulls squabbling over scraps of fish, I heard a noise from the water to my left, I looked down to see a Little Penguin in the water. I was too close to get the whole body in the frame, and there was not time to change lenses, so I snapped a couple of quick shots for documentary purposes, before it dived.